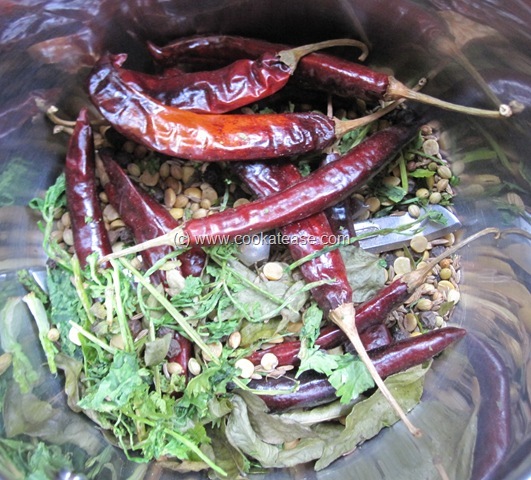 South Indian meal is incomplete without Rasam. 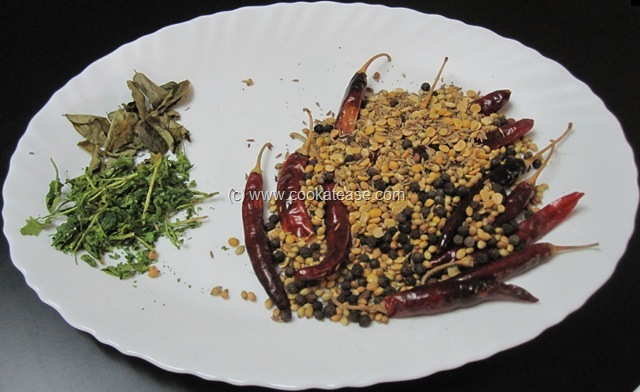 Here is Rasa Podi (Rasam Powder) to prepare certain type of rasams at short notice. 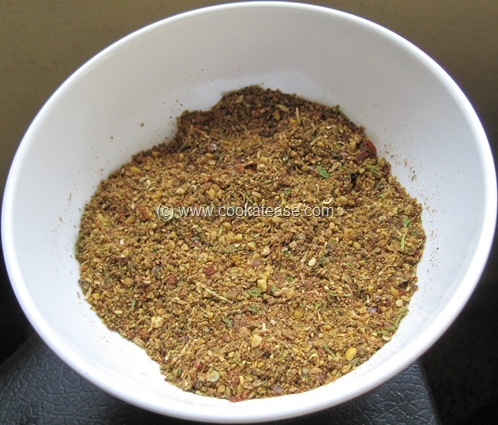 Rasam prepared with this powder is aromatic and tasty. 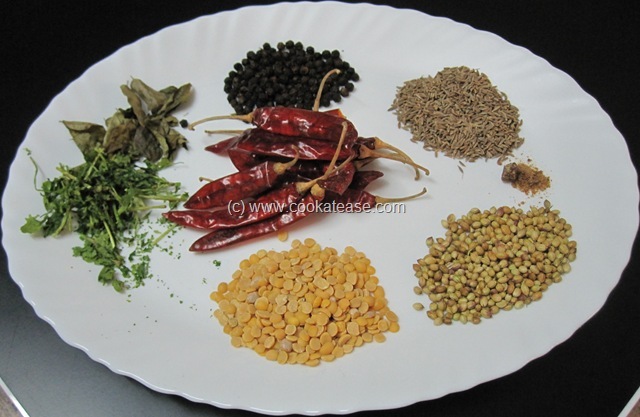 Fresh curry and coriander leaves are not necessary to prepare rasam with this powder as dried coriander and curry leaves are used in this rasam powder. 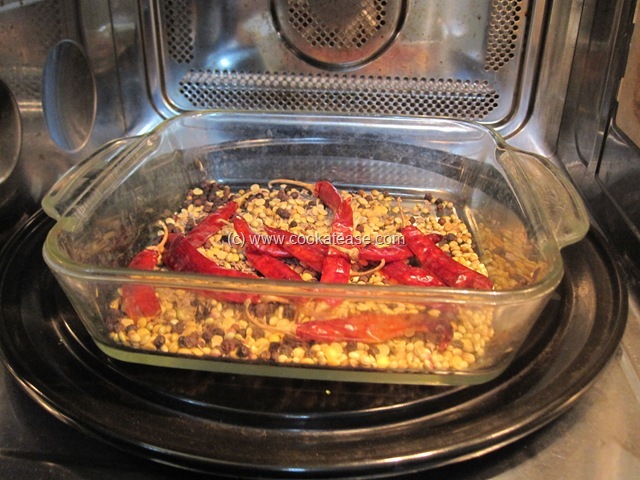 In a fry pan, dry roast all the given ingredients till crisp (I roasted it in microwave oven). 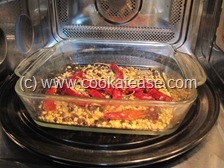 Rasa podi is ready. 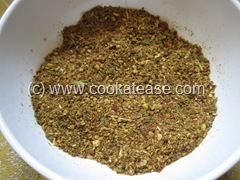 Store it in air-tight container, to keep it fresh up to 3 months. 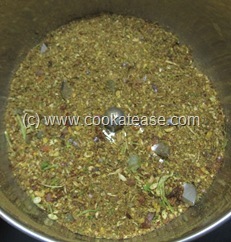 To prepare rasam, add 1 table spoon of this powder (along with other ingredients), for 5 to 6 cups of rasam. Coarse rasam powder helps to get more clear rasam on the surface. I used microwave oven to dry curry and coriander leaves after washing. This can be dried in sun light also after washing. This podi can also be used in kootu preparations. Nothing will beat the home made powders…looks fabulous..
Fresh and home made gives nice flavour to rasam. Nice rasam podi, how you dry coriander and curry leaves,just leave it outside in the sun or dry roast them. It’s very nice, naanu try madtini, and can u give me few recipes to my id.